It seems like only yesterday that you were holding out two cute outfits and letting your sweet little daughter choose one to wear. Now, your teen wants to shop with you (mainly your wallet) and choose her own clothes, without hearing a peep out of you. Shopping with your teenager doesn’t have to be a battle — it can be a fun, productive, and rewarding experience. By planning and preparing in advance, you’ll be much more likely to purchase peacefully with your young fashionista. 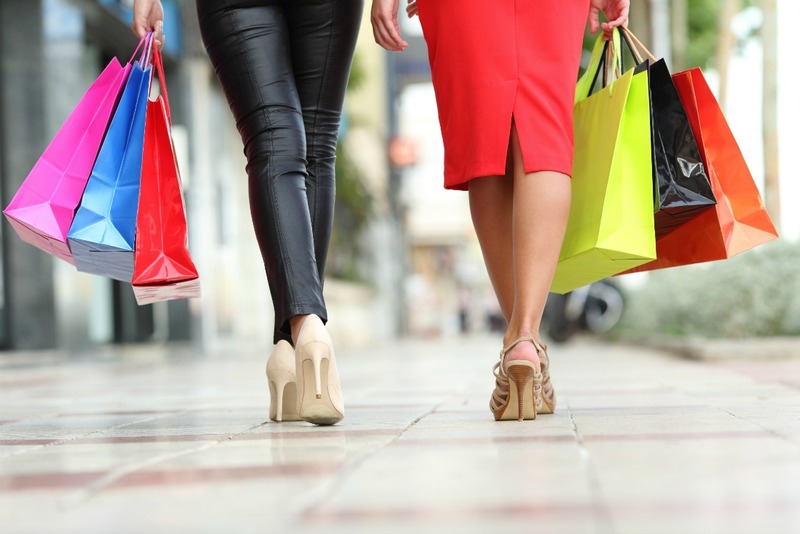 While clothes shopping with teenage daughters can be a challenge (both financially and emotionally), with the right strategy, it can be a great bonding experience! Since the price of clothes can add up quickly, and you can get drawn in by all of the cute outfits, it is best to talk about the available budget with your daughter before heading out the door. Stacy London, from the TLC show What Not To Wear comments: “This will give your teen a clear understanding of what she can buy (and hopefully forestall any pleading and whining). It will also keep you from fighting at the point of purchase over a splurge that they “have to have,” and helps them learn how to shop with limits.” If there’s an expensive item that she simply must have, arrange for her to pay for the extra expense from her allowance or with her own earnings. You must have a plan, an idea of what they want to shop for before even thinking about heading to the mall. Do they need new jeans? A pair of wedges? A white tee? This is a great time for cleaning out closets, taking a wardrobe inventory, and making a list of must-haves. It can be a lot more effective than just heading out to make impulse purchases or buy five brand-new outfits that go with nothing in their closets. Okay, mamis, this one is important! Do not offer your opinion unless it is specifically asked for. For example when your daughter takes an article of clothing off the rack which you deem is just NOT something that you would ever choose for her to wear- zip your lips. Chances are the minute you say you don’t like her choices is the very instant when it becomes the one thing she has to have! Now, this doesn’t mean that you shouldn’t exercise your parental authority if she is trying on clothes that you don’t approve of, but if she is simply trying to find a certain “style”, then let her do her thing. Happy daughter, happy mother. Even if you’ve prepared for a shopping trip with your teenager to the best of your ability, chances are good there will be tough “moments.” And although it may be hard to believe, your daughter doesn’t want to argue over clothing choices any more than you do. So, smile (as hard as it may be) and enjoy the time with her! Break up any stressful moments with a neutral activity that allows you to get out of shopping mode for a bit and just enjoy each other’s company. This might be lunch at your favorite spot, getting a mani-pedi, or even indulging in a mini-makeover in the beauty department.